The HTC Wallaby name may be unfamiliar, but this early smartphone is perhaps more familiar as the O2 XDA, Qtek 1100, Siemens SX56, T-Mobile MDA or any one of several other carrier or OEM branded names. 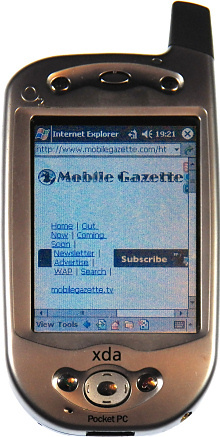 Despite the unfamiliar name, the Wallaby was a significant device that was very influential on smartphone development in the years after its launch 10 years ago in 2002. The Wallaby marked the transition from standalone PDAs to the modern smartphone. 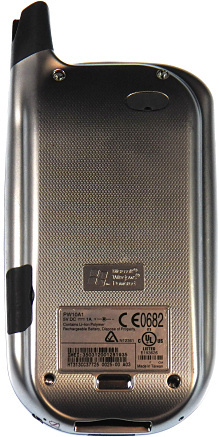 Back in 2002, the name smartphone actually meant a slightly different class of device.. the HTC Wallaby was considered to be a “wireless PDA” instead. The operating system was a straight development from Windows CE which was Microsoft’s PDA offering, with a user interface very much like a shrunk down version of Windows 98. PDAs had been around for a while before the Wallaby came out, notably the Compaq iPAQ (also built by HTC) and the PalmPilot. But these devices were extremely limited in their functionality - basically you could synchronise calendar events and contacts with your PC, run a few simple apps and perhaps download a copy of your mailbox..and that was about it. The Wallaby allowed you to read email on the go, access the web and (of course) make phone calls, all without needing to connect it to a PC at all. Despite being 10 years old, the Wallaby is still somewhat usable as a smartphone. There’s a 3.5” 240 x 320 pixel resistive touchscreen display, a 400 MHz processor, 64MB of RAM, a memory card slot (for an SD card) and GPRS data. There’s no 3G support, WiFi, GPS, Bluetooth or even a camera, but all the basic functions are here. The user interface doesn’t look much like a modern smartphone, but if you’re used to a PC then you won’t have many problems. One shock with pre-iPhone devices such as the Wallaby is having to use scroll bars to move up and down through a long page, and the fairly basic resistive display isn’t nearly as responsive as a modern capacitive screen. And this really is a stylus-only interface too, the controls are just too small to use with a finger. It’s quite a heavy device, coming in at about 200 grams and measuring 129 x 73 x 18mm (if you ignore the external antenna). At the time the Wallaby was a huge device, but many modern smartphones have a similar footprint, so today it doesn’t look quite so big. If you wanted one of these SIM free in 2002 then you would certainly have to had deep pockets, as the Wallably cost in the region of €1000 or £650 at the time, roughly comparable in price to a top-spec iPhone today.